Trump is projecting his own psychological issues all over America. Trump’s Paris accord speech projected his own psychological issues all over the American people. President Donald Trump announces his decision for the U.S. to pull out of the Paris Agreement at the White House on Thursday in Washington. The polluter-in-chief appeared in the White House’s Rose Garden on Thursday afternoon to vomit his psychological hang-ups all over Mother Earth. After a meandering prelude that discussed his successes as president—among them his push for “fair and reciprocal” trade deals and his efforts to get other countries to pay the bills for the global war on terror—Donald Trump drilled down like a Texas oilman desperate to let loose a gusher of oozing sludge. 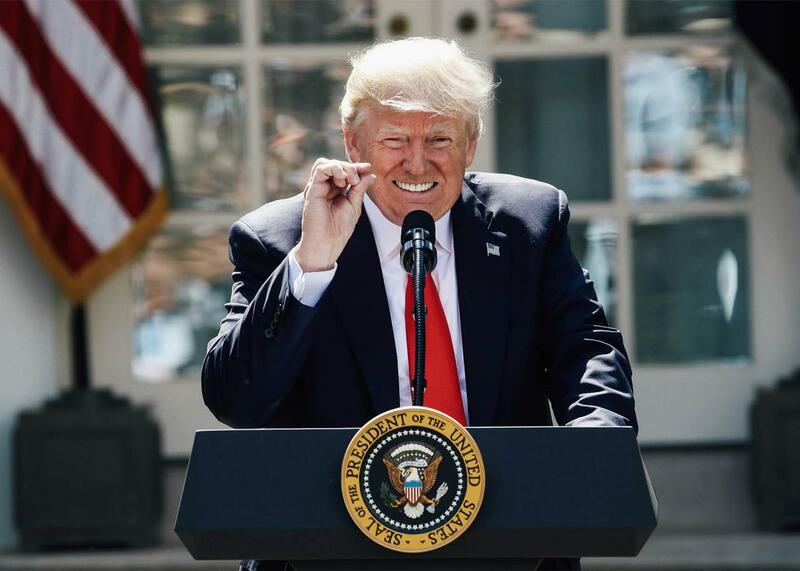 The United States was withdrawing from the 2015 Paris Agreement that proposed guidelines for assuaging the effects of global warming, Trump announced. Finally, the American people would have a “level playing field.” Our victimization at the hands of wicked European grifters would now be over. Trump has always played the victim, never more so than when he’s occupied the highest perch in the land. He could be sitting on an ocean of gold like Smaug in The Hobbit and still demand sympathy, moaning that the haters and the liars were robbing him blind. He’s now applied that same framework to America, which is both the “most prosperous and most productive country in the world” and the most grievously wronged. The truth is that neither President Trump nor the United States has been undone by a set of standards designed to forestall large-scale global catastrophe. (Have you tried achieving 3 to 4 percent economic growth while under water?) Trump isn’t capable of comprehending problems that require collective action. He cannot fathom a win that does not entail someone else’s loss. On Thursday, Trump said the Paris accord would deliver the United States to a grim future of shuttered factories, squeezed taxpayers, blackouts and brownouts, and “vastly diminished economic production.” This extreme dystonic vision doesn’t correlate with the minimal regulations laid out by the agreement. These are not the words of a guy who’s done his homework. They are the threats of a fearmonger who believes the worst of others, especially those who aren’t on his team. “Our withdrawal,” intoned Trump, “represents a reassertion of American sovereignty,” as if collaborating with our allies to protect the planet was more of an assault on our identity than, say, Russian intervention in our free elections. The word for what we saw in the Rose Garden is projection. Trump feels like a tremendous man who is also, somehow, nursing an eternal wound. His country, therefore, is a tremendous nation that is hampered and thwarted by cheaters at every turn. But the parallel inside Trump’s head isn’t the one that matters here. Trump has already poisoned the White House. Now Trump’s America is gearing up to poison the world.